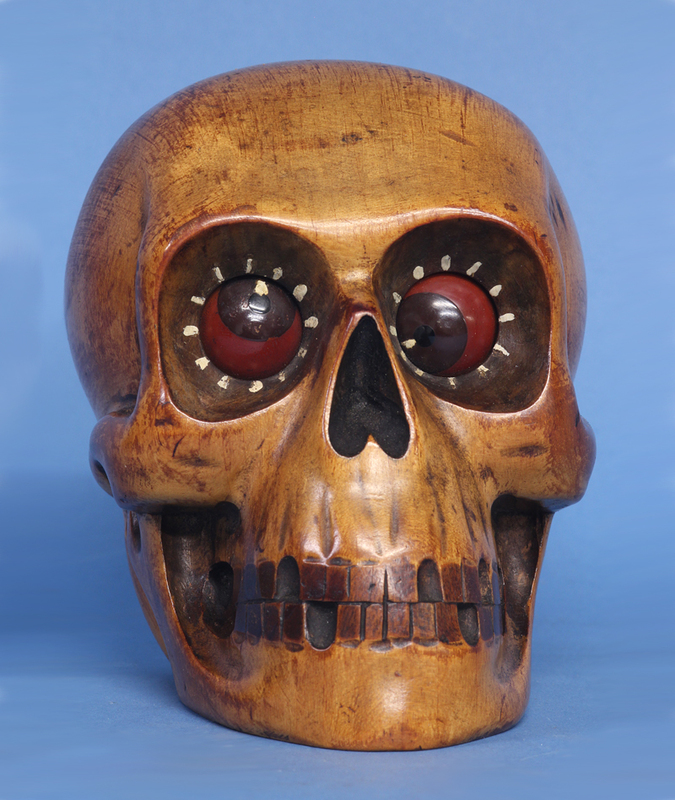 c.1930 Oswald Rotating Eye Skull Clock. 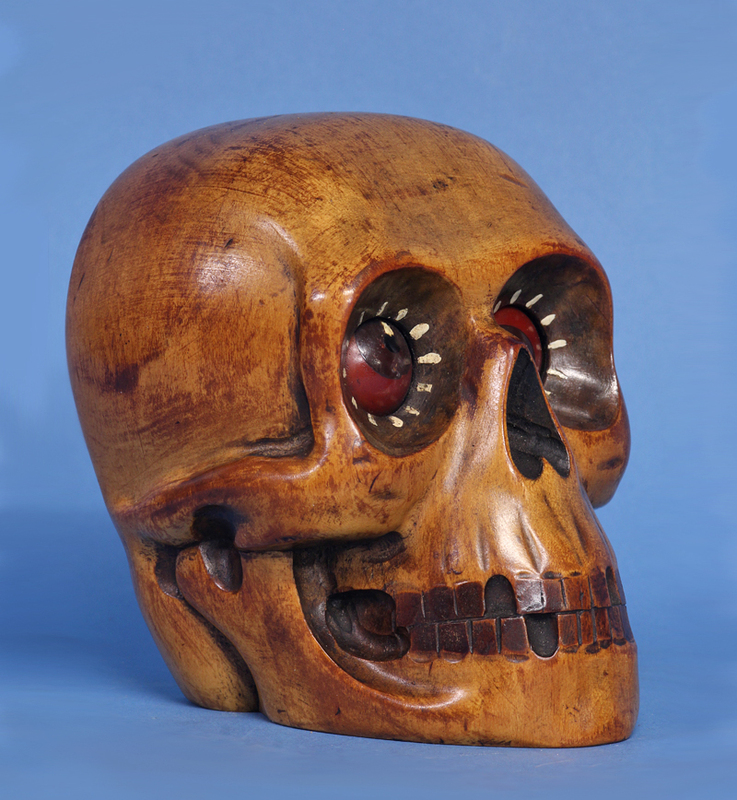 Rare early carved wood large Oswald rotating eye skull clock. 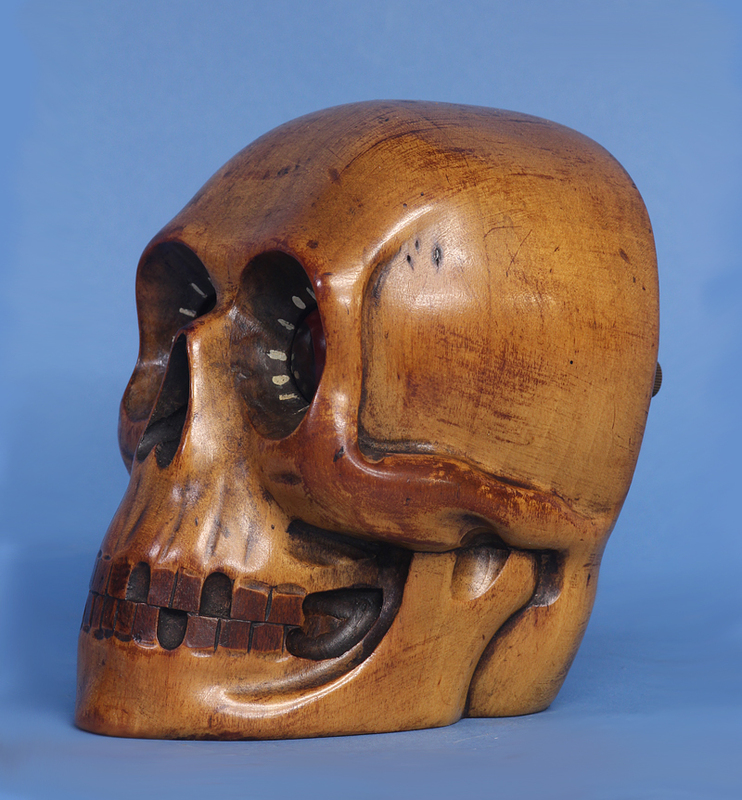 The carved wood case depicts a skull with rotating eyes to show the time. 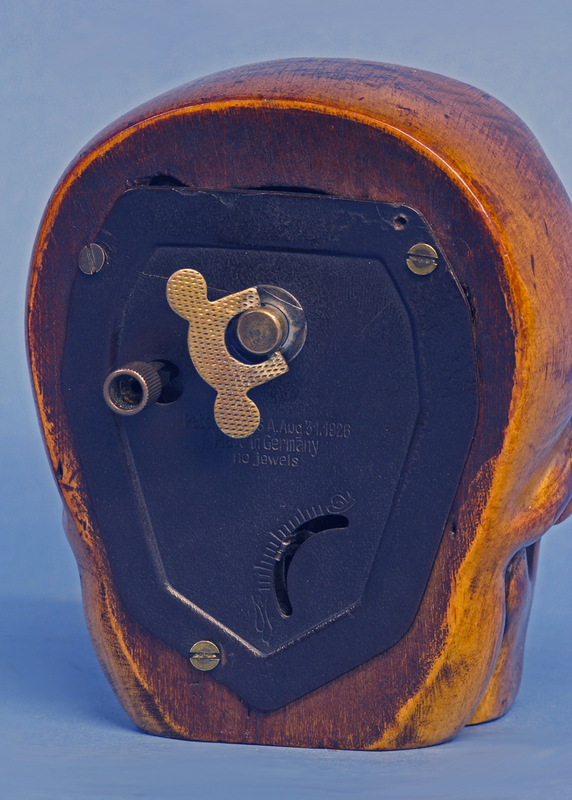 30 hour time only movement and is wound, set and adjusted out the backplate that is stamped ‘Patented USA Aug. 31, 1926, Made in Germany, No jewels’. 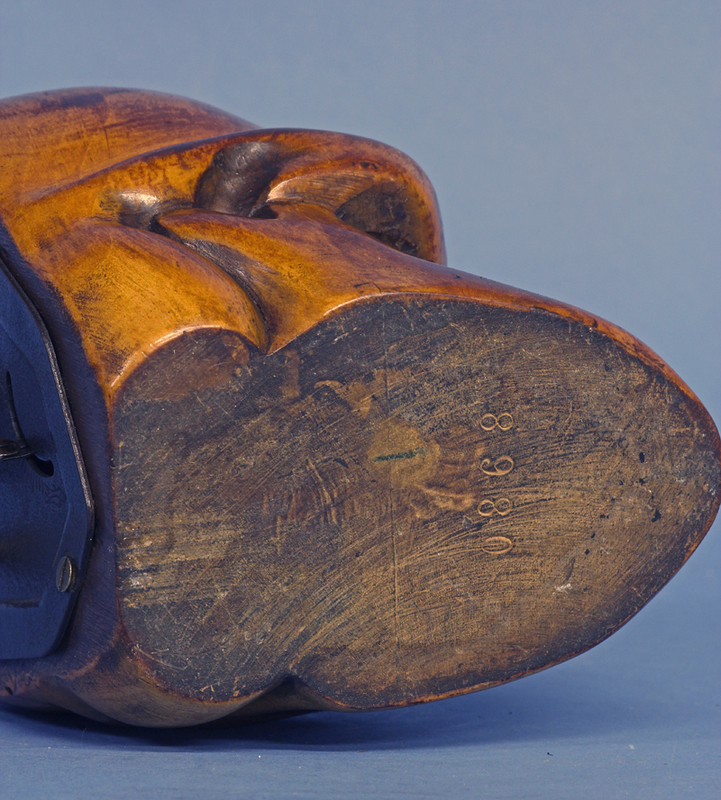 The J. Oswald Company patented this type of clock in 1926, and the clocks took the forms of skulls, dogs, genies, owls, and monkeys. 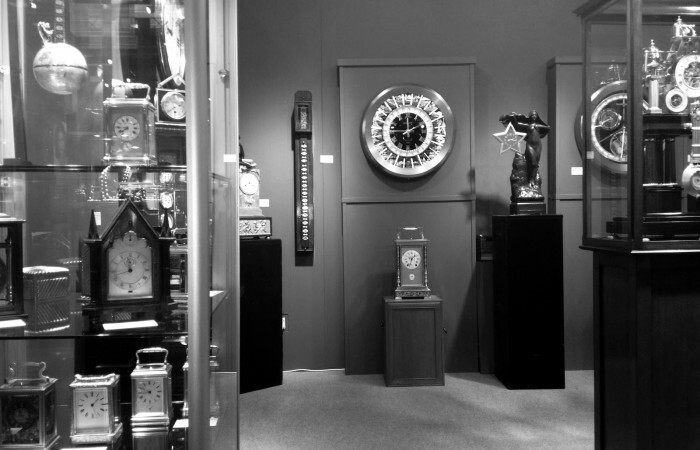 After the J. Oswald Company stopped making the clocks, knockoffs appeared in the 1960s and 1970s, but the classic Oswald clocks are still collectors items.